What's wrong with my C7? What's wrong with my 2014 A6 C7? I went for a long ride last weekend. Probably the last before winter closes in. I stomped it to pass a truck and in seconds was at 173Km/hr. It snarled and growled and ran great, as it has since I purchased it in May 2014. As per usual head's turned, thumbs were raised and I was pleased as hell! What's wrong with this car that it runs so great? Have a great and short winter! Don't tell Consumer Reports magazine or some of the other bashers of the C7. They would never believe you, enjoy the beast. What's wrong with my 2014 A6 C7. I went for a long ride last weekend. Probably the last before winter is closes in. I stomped it to pass a truck and in seconds was at 173Km/hr. It snarled and growled and ran great, as it has since I purchased it in May 2014. As per usual head's turned, thumbs were raised and I was pleased as hell! What's wrong with this car that it runs so great? Have a great and short winter! My car has the same problem as the OP! WOW!! I hear ya. It is a constant battle with me not to get into a road race. I was severely challenged by a 911S and just had to grit my teeth not to go for it. But better, responsible thoughts prevailed. And the nut holding the wheel was TIGHT!! I actually drive it like a little old lady. Occasionally I do the "freeway launch" and I've had it up to about 110 on the way to Vegas but that's about it. But it sure is nice to have all that power on tap in case you do need it. Yeh, but you should see the smile on my face that first spring day when the vette goes back on the road! Similar experiance yesterday! Was in Chicago at a Show for a week, only drove in cabs and busses. Took the Vette out and on the way home on a rural straight road, only farm fields on either side, shifted out of 3rd near redline! Don't mean to rub it in but will be doing that most winter days when above 50, which it is most often! Won't tell consumers report my Septermber 2013 build was only back for service once, the month I picked it up to have the dif fluid level checked per GM request. It was fine! Have done all other needed oil changes etc myself. Last edited by JerryU; 11-15-2015 at 02:13 PM. You have big problems.Sounds about the same as mine. I know what you mean, just like getting a new Vette all over again, especially after you hit that start button. Bluefinn. Love having an automatic C7, an A8. I don't use the paddles, just the gas peddle. I had a similar experience driving through a piece of flat and empty prairie highway late this summer. Saw the north side of 200kph! Like someone else said, it might be a problem with a loose nut behind the wheel! Every single time I drive it, I love this car! The same thing happened today! Took her for the final drive today and she snarled and growled and snapped at every other car on the road. Cleaned her up and put her to bed for the winter. 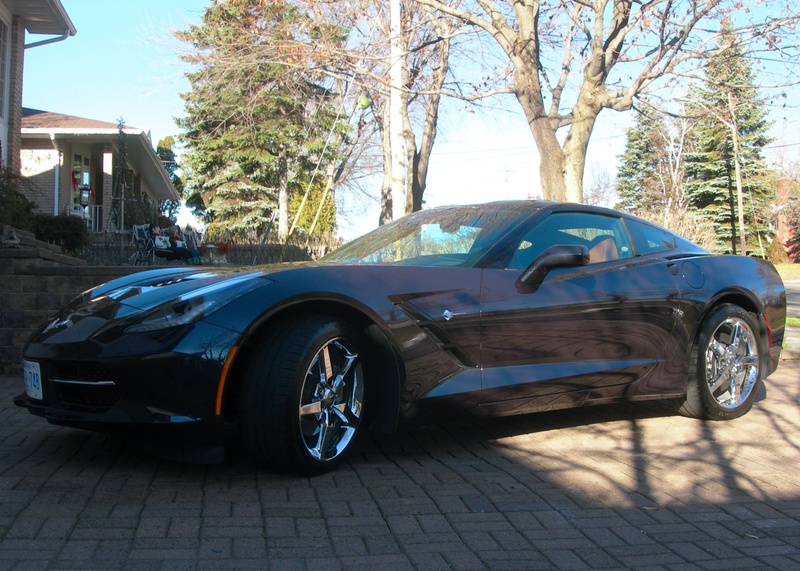 6C and no snow but predictions are for colder weather and I wanted a final wash.
What Corvette Magazine(s) do you subscribe to? Quick Reply: What's wrong with my C7?